While the others concentrate on convenience, Global Sedan has been focusing on the integration of convenience and providing a delightful customer experience since its inception in 2016. Global Sedan is thrilled to introduce the company’s new app, which is now available for Android devices in the Google Play store, and for iOS devices in the iTunes App Store. The Global Sedan app is free to download and allows the user to create a driver or passenger account. Once an account has been created, the user can use location data to pinpoint their whereabouts and determine rates for on-demand or future services. The app provides passengers with three experience-level choices: economy, taxicab, and luxury. Each choice offers sedan or SUV rates to cater to a variety of party sizes. The passenger can secure a future ride or request on-demand transport by inputting location and destination information, along with time and date when applicable, and payment information. 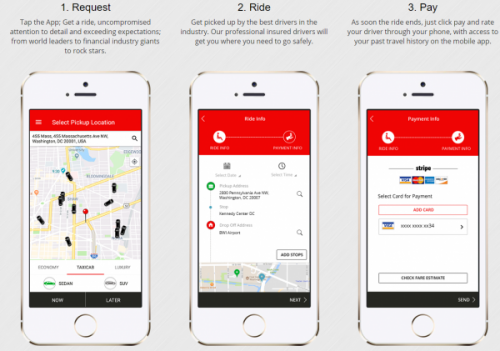 Once the ride is complete, the passenger uses the app to pay the driver and to offer anonymous feedback about the driver and their experience. Global Sedan is available in cities and towns throughout the nation and offers transportation for groups of all sizes—from individuals to large-group events. The company’s plan-ahead feature and variety of automobile options make it a solution for corporate event transportation and personal occasions. In addition to providing a range of transport solutions, Global Sedan earmarks customer and driver safety as a leading company value. All drivers are provided with mandatory safety and customer service training. The anonymous rating system provides further safeguards to keep the entire Global Sedan community protected. “No one is going to enjoy a ride, whether they are a driver or a passenger, if they feel unsafe. We’re continuously reviewing protocols and developing new avenues that not only inspire satisfaction, but guarantee safety. Our app is the latest advance on that front. With it, we can track location information, offer turn-by-turn direction to our drivers, and keep track of any problems that arise,” shared Mbeche. Interested parties can learn more about Global Sedan by calling (202)971-9933 or emailing info@globalsedan.com.